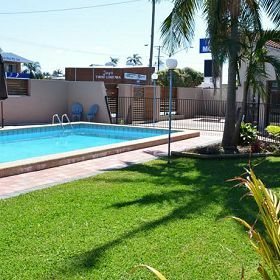 Featuring an outdoor swimming pool and free Wi-Fi, Alabaster Lodge Motor Inn offers comfortable rooms with cable TV, heating and air conditioning. 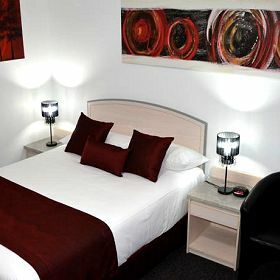 All rooms at Alabaster Motor Inn include tea/coffee making facilities, ironing facilities and a private bathroom with hairdryer. All rooms feature a microwave and a toaster. The on-site restaurant, Shades Bar & Grill, is open for dinner from Monday to Saturday. Room service is available and guests also have access to a barbecue area. 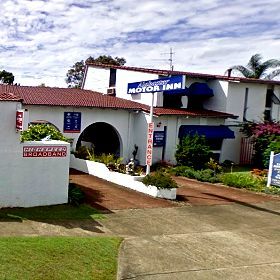 Alabaster Motor Inn is located just 2 km from Taree town centre. Old Bar Beach is a 20-minute drive from the motel. Copyright © 2015 Alabaster Motor Inn.